Zip Front Robe - The Most Amazing Bathrobe In The World? The Most Amazing Bathrobe In The World? 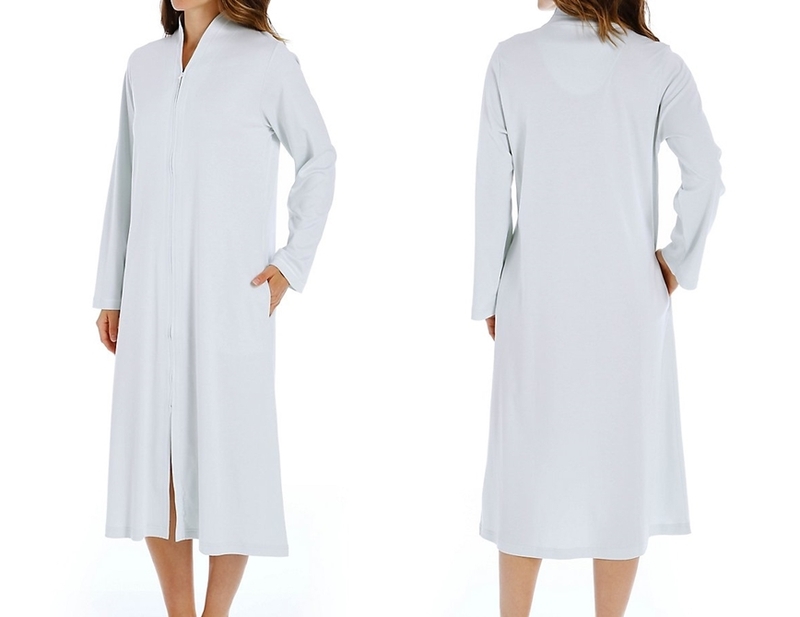 Zip Front Robe - from stunning chenille robes to luxurious Egyptian cotton robes, when it comes to comfy cosy bathrobes the choices seem endless, but one quiet sleep wear favorite stands miles above the rest - the zip front robe. What makes the zip robe such a popular pick? Follow along for a behind the scenes look and discover why so many rave about this favorite sleepwear style. Fussing with the belt, re-tying the knot, and constantly checking to make sure that your robe is closed are things of the past with a zip front robe that simply stays put and keeps you stylishly covered. Whether you’re wearing it as loungewear or for bustling around the house, the zipper closure is an easy and comfy "zip it up and go" favorite because you’ll never find yourself worrying about keep it done up. 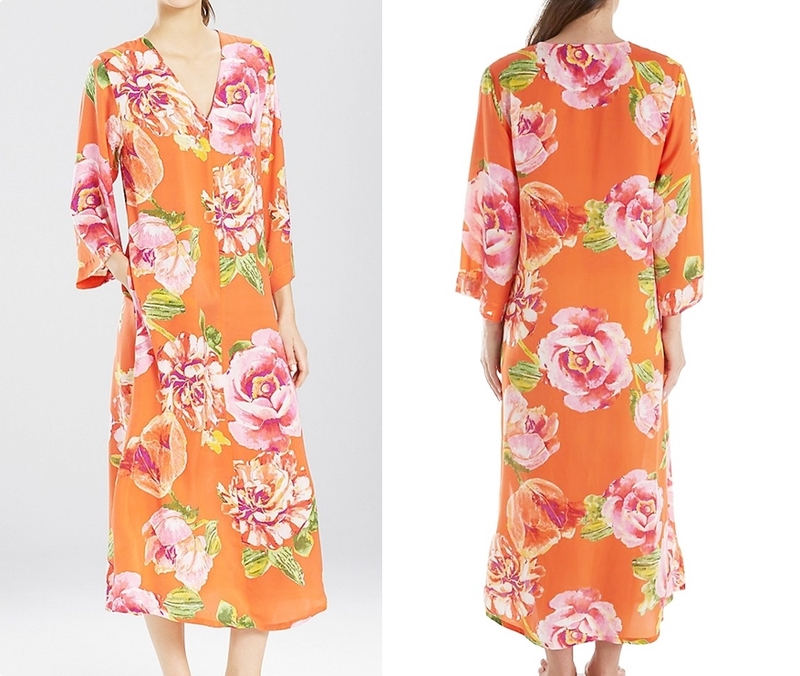 Slip a zip front robe over anything and your sleepwear look is instantly polished and pretty. The best part - this is classic bathrobe never goes out of fashion, so investing in a nice style that you can mix and match with your lingerie drawer favorites is a great way to always look elegant and timeless. Whether you’re wearing beautiful lingerie or an oversized t-shirt underneath, a zip front robe transforms a so-so look into one that's fresh and fabulous. Zip robes may be made from any number of different fabrics. Flannel and fleece robes are probably the most popular warm fabrics, and perfect for the winter months. Cotton terry cloth robes are also immensely popular. Many of these zip front spa robes are lined with a second layer of material such as satin, that feels wonderful against the skin. Loungewear should be easy, comfy and never fussy. 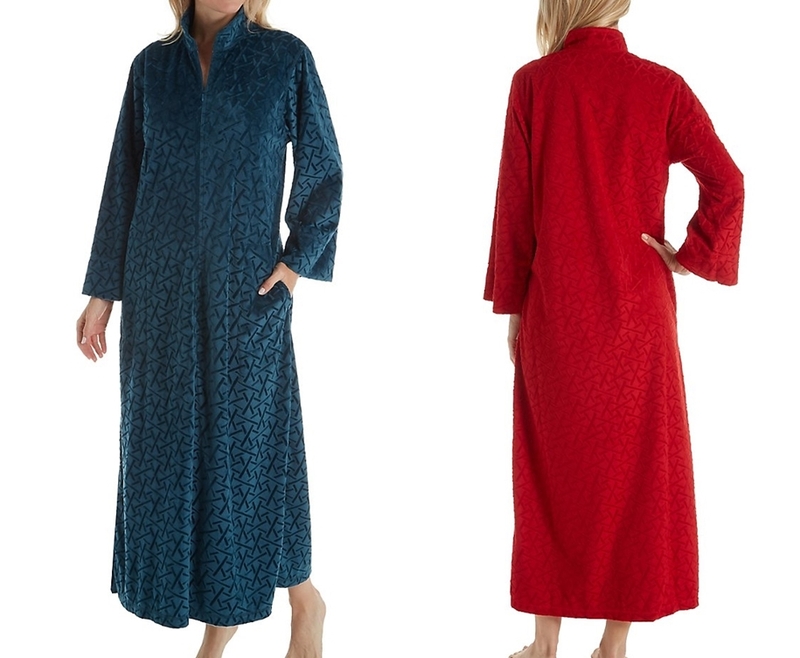 We love the way you can slip into one of this womens robes and forget about it while you get cozy and relax. Choose an ultra soft fabric like velour, microfiber, or quilted cotton robes for a soft, plush sleepwear experience that you’ll never want to take off. Once you’re chilling out in one of these plush robes, you’ll never go back to complicated robes or sleepwear	that gets in the way of your r&r. Look for robes and women sleepwear with trendy pinstriping and tasteful color combinations; many styles also feature feminine pintucks for shaping. 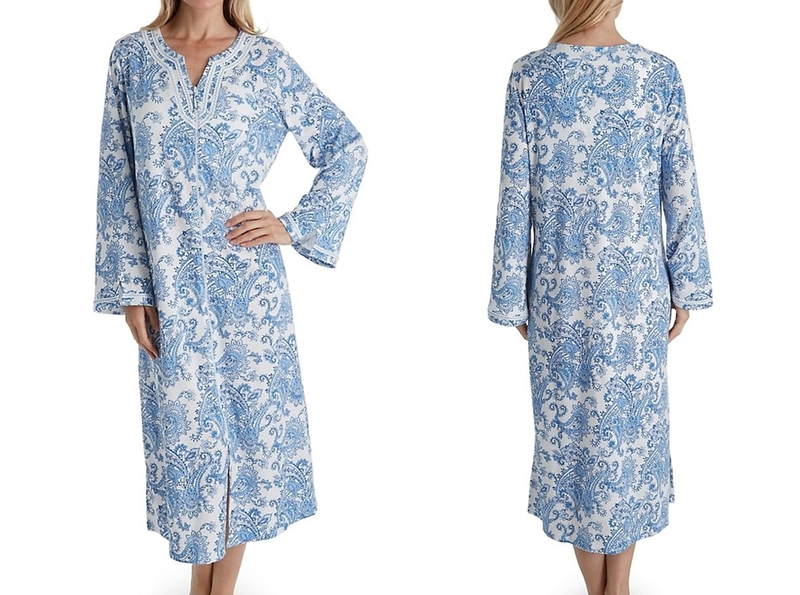 If you like the vintage Victorian look, purchase a zip front robe with delicate, feminine lace trim along the cuffs, neck, and bottom hem. Sure, you can opt for an ultra luxe version of a zip front robe if you want, but why settle when you can easily score one at a reasonable price that fits any budget.